Why are Sinus Problems So Prevalent in Winter? Sinus problems can occur year-round, but they seem to be more prevalent during the cold months of winter. Sinus conditions like runny nose, congestion, coughing, headaches often coincide with the cold weather months. Why is that, you ask? The answer to this lies with several factors which conspire together to create the ideal environment for those sinus problems. The root cause of sinus problems is virus, but can also be caused by fungus or bacteria. These viruses are contagious, which means they can be passed readily from one person to another. During the winter months, as people spend more time indoors and in close proximity to one another, sinus-causing virus spreads more easily. Another factor common to winter season is the dryness of the indoor air due to home heating. 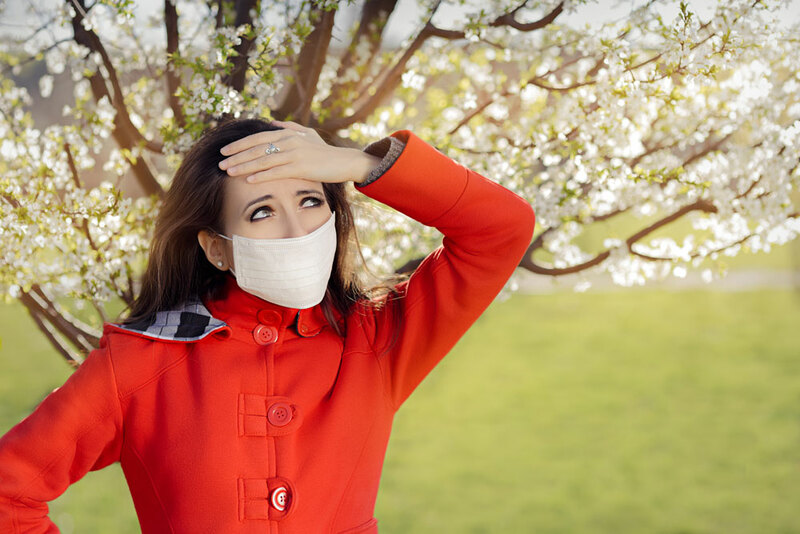 The dry air tends to break down the body’s natural barrier to virus and bacteria – the mucous membrane. This in turn allows the virus to pass more easily into the nasal passages and airways, creating the sinus problems we associate with the winter season. Some sinus problems stem from allergies that can be more prevalent through the winter months for several reasons. Allergic reaction to things like pet dander may be more prevalent with both pets and owners being inside more in the cold of winter. Dust mites are often more plentiful as warm winter clothing comes out of storage and blankets are brought back into service. Other causes of winter allergies are mold, mildew, and damp wood. Closed windows combined with damp firewood brought inside can conspire to form an ideal environment for allergens. The work of humidifying and warming the air before it reaches your lungs can leave your sinus passages runny in winter. This is your body’s reaction to wintry conditions, as it creates more mucous to combat the colder air. You can reduce the risk of sinus problems or allergies in the wintertime with a few simple preventative steps. Clean surfaces indoors to reduce the amount of dust and other allergens in your home. Dust regularly, mop floors and wash bedding frequently. Take showers or baths often to steam away your congestion. A vaporizer or humidifier will do the trick as well. The idea is to maintain moisture in the air so your mucous membrane can do its job. Saline solution is another way to keep your nasal passages from drying out. Talk to your doctor about your symptoms and find out if an allergy medication can help relieve the symptoms. Replace air filters in your home regularly and consider spending a little more by choosing one rated for allergens over the bargain filters. Stay hydrated. Drink plenty of water, which will help prevent your sinus from drying out. Sinus problems may not be unique to the winter months, but your lifestyle during the cold season does leave you more vulnerable to them. As the old saying goes, an ounce of prevention is worth a pound of cure. Your winter months indoors will be much more enjoyable once you’ve gotten a handle on the causes of your sinus problems.